Have an emergency? Call Us Now! According to reliable reports, lockouts are the most popular service that a locksmith receives as a request. Fortunately, we live in a world where most of the professional locksmiths provide round the clock services. They are simply a call away from solving our lock-related issues. Of course, they may charge additional fees for services at night, but this is a small price to pay if we consider the alternatives i.e. sleeping in our backyards or staying at a hotel. Emergency locksmiths are well-aware of what you, as a client, are looking for when it comes to lockouts. They are well aware that the desperate are seeking quick service at a reasonable price and that the services are performed or completed by a professional. An emergency locksmith Calgary will have superior training, experience, and knowledge to provide solutions to any lock-related problems. An emergency locksmith is always ready to offer his/her services whenever there is a lock-related emergency. For instance, you can lock yourself out of your home or lock your car keys in the trunk. During such cases, an emergency residential locksmith will be able to help you swiftly. 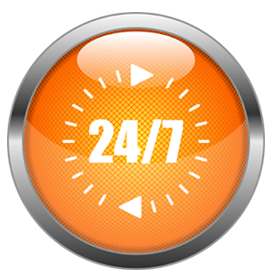 In fact, a professional emergency locksmith is only a call away and can be on the scene in as little as 20 minutes! It is completely possible for you to be involved in a variety of tricky situations. For instance, your key can break inside the lock. Now, you may have a spare key, but to use it, you would first need to extract the key that remains in the lock. A professional emergency automotive locksmith would know exactly what to do in this situation. Here´s another scenario–let´s say that you are rushing to get somewhere. Unfortunately, it looks like you have lost your car keys. Now, that´s exactly where an emergency locksmith steps in and provides solutions. The locksmith will be able to come right out to your location with all the proper identification required and get to work. He/she will have the full diagnosis of your problem ready, will review the work that is going to be performed and break down the prices so all are in agreement before any work is started. He/she will then provide you with the new key you need to get you back on your way. Most of the emergency commercial locksmith technicians are well-versed and trained in all the latest emergency locksmith technologies. They specialize in cutting and programming keys for almost any type of lock including keys for vehicles, keys for doors, and emergency unlocks etc. The biggest and most important trait of an emergency locksmith is undoubtedly his/her availability. Most of the emergency locksmiths are available round the clock and some even offer their services during the holidays. Therefore, even if you face a lock-related issue at the most inconvenient time, you will be able to hire the services of an emergency locksmith. Metro Locksmith is the Calgary Locksmith you can count on. Whether you need an Automotive, Residential, or Commercial Locksmith, we are here to help.